Hi, Kay! Atila in here again, reporting the events of Sol 12. Today we were EVA-free, however as you should know by now, we had to rescue the poor and lonely red ATV from the darkness of Mars. The rescue party was Brandon, Carmen, Shannon and I. We succeed in our mission without any causalities and we got back home absolutely safe. I’m working on a map of the Hab that points the fire alarms, CO monitors and fire extinguisher. I’ll let you know how that worked. I think that’s pretty much all. If you need anything else just let us know. The sole purpose of our EVA today was to bring back the red ATV to the hab, whether that meant driving it back under its own power, or towing it back. We equipped ourselves with jumper cables, wrenches, pliers, and any other tools we needed for repairs. We left the Hab at approximately 12:15 PM. In our party was Shannon, Carmen, Atila, and I. Shannon and Carmen manned Deimos. Atila and I piloted two of the blue ATVs. We kept within following distance of each other, passing Tank Wash, White, Yellow, & Green Moon without incident. Passing Sagan St, we arrived at the red ATV at approximately 12:50 PM. Once we arrived, Shannon attempted to start for good measure. As expected, it wouldn’t go. So, as we concluded yesterday, the battery was most likely drained due to attempting to start it multiple times. So we decided that we’d need to jumpstart the red ATV. We got it running at about 1:05 PM. We connected the jumper cables without incident, attempted to start the red ATV, and success! It worked like a charm and started right up. We had Carmen ride the red ATV with everyone else in their same vehicles. Our return trip proceeded without incident. We returned to the Hab at 2:20 PM, refilled the gasoline on the ATVs, and plugged in Deimos. Surprisingly, after going all that way, Deimos lost only 6% charge, according to Shannon. I did observe yesterday that Deimos was set to High instead of Medium, when I took control of it. I was leading in the red ATV that day, and at times, would go a little bit ahead and wait for Deimos. This may have compelled him to use the High setting to keep up with my ATV. In future EVAs involving an ATV and Rover, I’ll make sure that we caravan together, so as not to put pressure on the Rover driver to keep up. My observations yesterday about Deimos still gives us an upper limit for its High setting. I’d estimate that the High setting drains the battery about 15 times more quickly. This is a good reason why crew members using the ATVs should match the speed of the rovers, and stay within visual contact. Preferably, the slowest vehicle should lead; in order prevent the above from happening, along with other potential safety issues that can occur when crews become separated. There was no additional EVA today, since the rescue operation took up much of our time for the day. This is all I have to report. Have a nice night mission support! 5h40m – Awake. As all crew accepted, We suspended the simulation to go to Hanksville to receive 4 brand new ATVs. 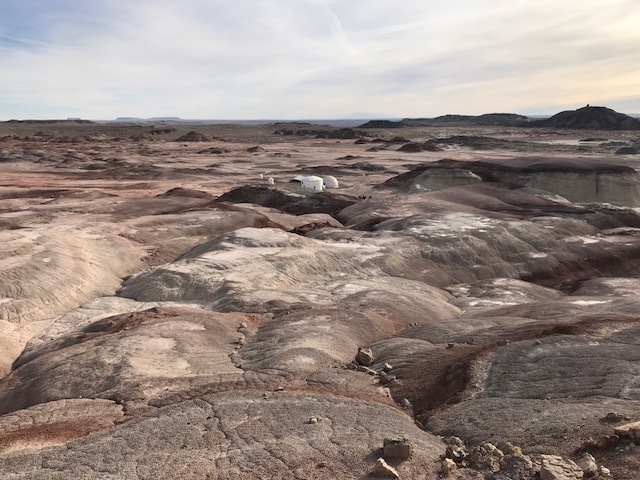 6h23m – Today morning I and Brandon woke up early to start a exploration around the MDRS area and collect rock samples and then be contacted by the MDRS vehicle and Shannon’s Vehicle to We, together, go to Hanksville. 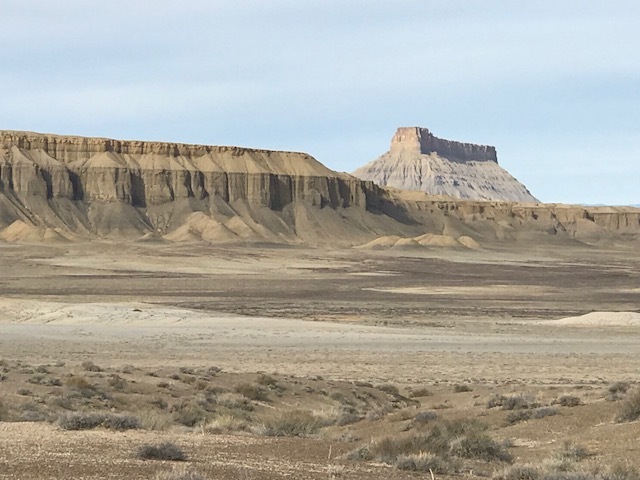 8h – Arrival in Hanksville and receipt of the 4 ATVS carried in a truck. Shannon come back driving her car; Atila, Brandon, Camila and Carmen returned, bringing back the 4 ATVs, each one driving a specific ATV. I waited for fill the water tank in the MDRS vehicle. We arrived all together in safety in MDRS. 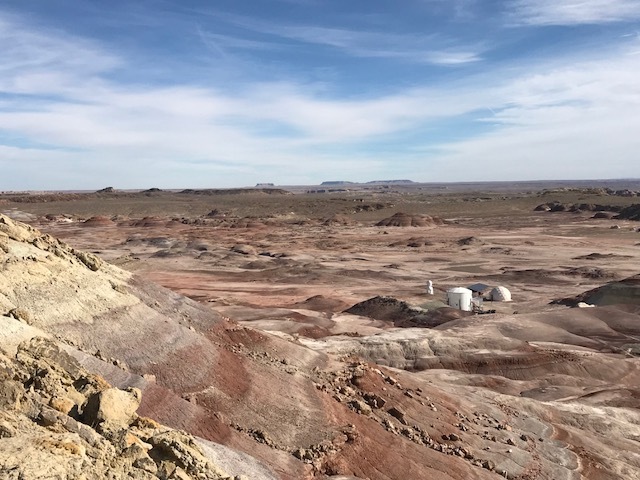 10h – I and Brandon visited a plateau in west direction from MDRS. 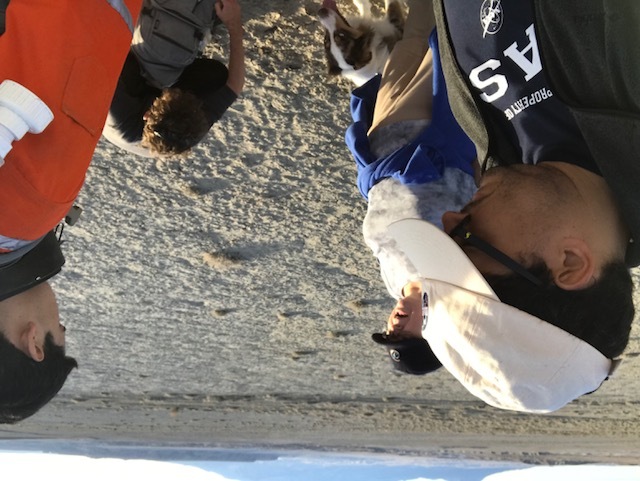 We walked around 3 miles (total) and returned to MDRS. 11h – Brandon, Atila and Camila did the EVA to Write Moon region. When they were returning, the Atila’s EVA got out of gas. 11h45m – I just cleaned the dishes, organized the dinner table and take out the garbage. 13h13m – I’m preparing my reports and writings. 13h45m – I fixed the window of the airlock chamber, the inner border of the front door and the membrane door of the airlock room. 14h30m – I burned garbage and clean up the lower deck. 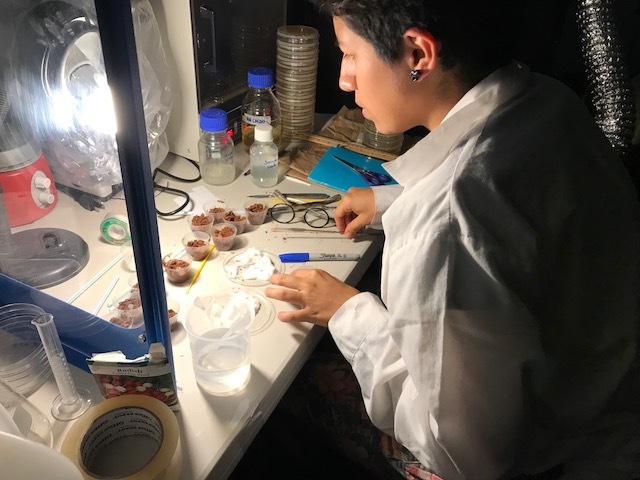 14h50m – Camila and Brandon returned to the MDRS and communicated to the crew and Shannon about the EVA technical difficulties. 15h30m – Brandon, Shannon and I (Julio) walked 1 hour or 2 miles going to help Atila in the ATV without gasoline. When We tried to start the engine, its presented some technical problem. We arrived back at 17h30m. 18h – Our dinner was pleasant. At total I walked around 18 km or 11 miles as yesterday and burned more than 1100 calories. I’ll start from the beginning as usual. We were informed by Shannon before our EVA that the tank in the Red ATV was in fact, half full, and would be able to make the trip to yellow moon and back. We were also informed that it had a reserve gas tank, in the event the first one ran out. There’s a knob on the left side that the rider is supposed to be able to turn to access the reserve fuel. Knowing this, I thought that in the event of running out of the first tank we’d be fine. We were not! Camila, Atila, and I began our EVA began at 11:45, shortly after the four new rovers were delivered. 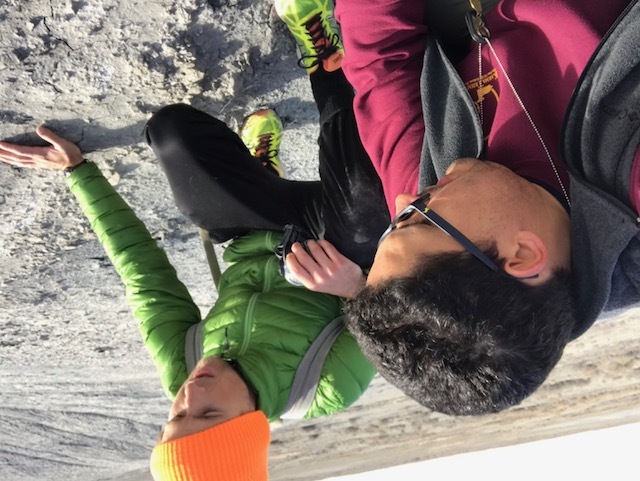 Our goal was to collect a few of plant & regolith samples in the yellow/green moon area. I led with the ATV, with the rover behind, careful to stay within sight and contact range. We took our first two samples without incident, photographing each site for future coordinate reference. After leaving the green mars area, I stayed within contact range to see if they wanted to stop along the way. Much of the landscape near the road was rather devoid of vegetation, so we continued down to Sagan St. I was aware at this point that this was much further than we had planned to go, but I wanted to make sure Camila got all the samples she needed. We continued about 4 and a half kilometers south, until we could see cars passing by on Hwy 24. I knew we were far, but as far as I knew, the rover was stated to have a 25 mile range, and the ATV probably has at least a 2 gallon tank, and that last gallon would be able to get the ATV back. After all, even if it did run out, I still had that extra reserve tank right? So about 0.8 km south of the Sagan St and Copernicus Hwy junction, the ATV ran out of gas. I tried to use the switch that would siphon the reserve fuel tank, but I couldn’t get it to turn. It had an “off” and an “on” position that I could turn it to, but whenever I tried to get it to turn from “reserve” to “fuel”, it wouldn’t budge. We tried starting it at the “off and “on” positions to see if that did anything, but no luck. I realized now that I was on a three person EVA with a two-seater rover and a non-functioning ATV, which meant we had to leave someone behind. I painfully regret having to do that, but I knew that trying to transport a crew member in the cargo bin was not an option. I couldn’t stay behind because we’d need my navigational knowledge to get the rover back, and there was no way I would have Camila stay. So we unfortunately had to leave Atila behind with the ATV. The plan was to return to the hab, charge Deimos to full power, rescue Atila, and bring him back home. I was informed that Deimos could charge relatively quickly, within a couple of hours. It was risky, but we had to try it. We made this decision at about 1:30 PM. I drove the rover, making sure it was driving in Medium. We passed Sagan St, Green, Yellow, & White Moon, making it to the main road. I was concerned because the rover’s charge was dropping fast, faster than it should have been. This was very surprising, because, after driving nearly all the way down to Hwy 24 on Copernicus Hwy, turning around and stopping where the ATV ran out of fuel, the rover’s charge was at 63%, at 18 km. Keep in mind, that Deimos was at full charge when we left the Hab. By the time we got to Tank Wash, it was reading in the low 20% range. By the time we got to the Reservoir, it wouldn’t even give us a battery reading, only displaying “Low Battery”, and flashing a red light. I soon realized that the vehicle was starting to have a really tough time going up hills, especially when trying to climb up the road near the reservoir. For a moment, it seemed like we wouldn’t make it up, but luckily we barely managed to make it to the top. As we passed Galileo Rd, the power output continued to decrease, making me doubt if we could even make it to the hab at all. By the time we rounded Pooh’s corner, I felt like we were going as slow as one of the actual rovers on Mars. The rover was just barely crawling along now. Even the slightest bump or divot in the road would almost bring it to a halt. Now that the hab was in sight, we attempted to establish contact with anyone listening. No response. So we manage to make it to the hab, within an inch of the battery giving out. It barely had enough juice to go over some uneven ground, just so I could park it. We plugged it into the extension cord to charge it. We attempted to contact the hab once again. At this point, more concerned about our stranded crewmember than with Sim, we attempt to contact Shannon, but to no avail. So we decide that our only option is to break Sim and contact Shannon. We entered through the Northern Airlock, to Carmen, who was very surprised to see us. It seems that neither Carmen nor Julio had heard our transmission. As neither of them had a walkie talkies on them, this is another issue that’d have to be resolved later. The time now is about 2:40 PM. Now that Sim was broken, we went to Shannon and told her everything. The plan now was to get gas from town, come back, deliver the gasoline to Atila with Deimos, so he could drive back under his own power. So Carmen and I took the Hab Vehicle into town, retrieved the gas, and returned to the Hab. But now, there was a new problem, Deimos wasn’t charging. It was still reading “low-battery” on its display screen instead of a proper battery reading. What this meant was that none of the rovers would be able to deliver the gasoline to Atila, and safely return to the Hab. Not to mention, the road through the White Moon area was far too treacherous for the Hab Vehicle to get through. So I showed Shannon approximately where he was on the MDRS map, and we decided the only way we could get the gasoline out to him, was to carry it out there on foot. Luckily for us, we wouldn’t have to take the same route the rovers did, as we could just climb up to hab ridge, and beeline it towards the stranded ATV. A direct route on this path would be over 2 km away, which could take up to an hour. So Shannon, Julio, and I set out with the gasoline, and made our way up the steep, unstable slope. We reached the top of Hab Ridge at approximately 3:20 PM, carefully searching the landscape for any sign of our stranded crewmate and ATV. Soon, we spotted what looked like a black dot, just southeast of Skyline Ridge. We moved as quickly as we could, with a gasoline tank in hand. After nearly 40 minutes of walking across the open landscape, we made it to Atila, who was still in his full gear and spacesuit after all this time. We filled up the tank to the ATV, and attempted to start it. Unfortunately, it seemed now that the ATV wouldn’t start. Instead we heard what sounded like clicking noises near where the battery was. We thought that maybe if could check the battery connections that we could get it started. That didn’t work. Then we tried to put it in 1st gear, and see if we could push it and get it going. That didn’t work either. So we resolved to leave the ATV behind and return to the Hab with Atila. The return trip went without incident. We got everyone back and no one was hurt. Shannon told us that she would have to rescue it from the vast emptiness tomorrow. We learned quite a bit of useful information during all this that I think is important to share. As I stated before, I had assumed that the Rover had a range of 25 miles as stated before, and that the ATV would have enough juice, as well as a reserve tank, to return home. My assumptions obviously led to all the events described above, and could have potentially endangered my crewmates. This means that I have to plan future EVAs much more carefully. Now that we do have ethanol-free gas available, we will be able to top it off before starting each EVA. I calculated that the ATV must have covered about 18 km before running out of fuel. If the ATV was indeed at half level as estimated, then that means a full tank only has a 36 km range. My recommendation would be to turn at 15-16 km out, assuming anyone could even get that far from the Hab by road. What happened with Deimos’ was very surprising to me. It seems that after a certain point, the rover looses its charge at a faster rate. The total distance the rover traveled I calculated to be about 29 km, or 18 miles. It’s my recommendation that EVAs involving Deimos should not go out further than 12-13 km, even of the battery guage is reading over 60% charge. Also, regarding our inability to communicate with the hab, it is critical that the In-Hab and EVA communication equipment is thoroughly tested. Although went through our routine Comms test before the start of our EVA, we didn’t check to make sure that the walkie-talkies in the Hab had their volumes loud enough. I think from now on that any crewmembers that are staying in the Hab during EVAs should have a walkie-talkie on their person, at all times, until the EVA party is safely recompressed through the airlock. This is all I have to report on the events of today. If you have any questions or concerns, please contact me. MDRS Daily Summary Report for Sol 11. 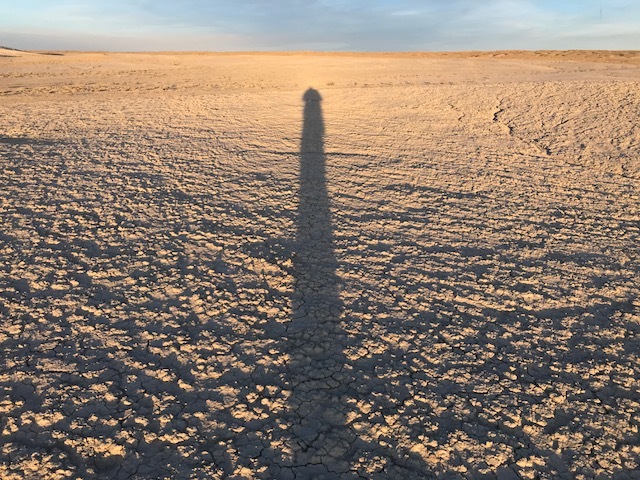 Summary Title: A day of outdoor activities and fix some issues in MDRS. Sol Activity Summary: 4 New ATVs. Doing some improvements, cleaning the MDRS and technical difficulties in the EVA. Look Ahead Plan: Not was requested EVA. Weather: 12o C, 54o F.
EVA: The EVA was in Write Moon area. Participated in the EVA, Brandon, Atila and Camila. In the return of the EVA area exploration the Atila ATV was out of gas. Brandon and Camila come back to the MDRS, but In the stations the gasoline tank pumps was also out of gas. Brandon goes to Hanksville to buy gasoline. I (Julio), Brandon and Shannon walked until the area where the ATV was stopped. I refill the tank and tried to turn on, but didn’t work. Probably a battery malfunction. 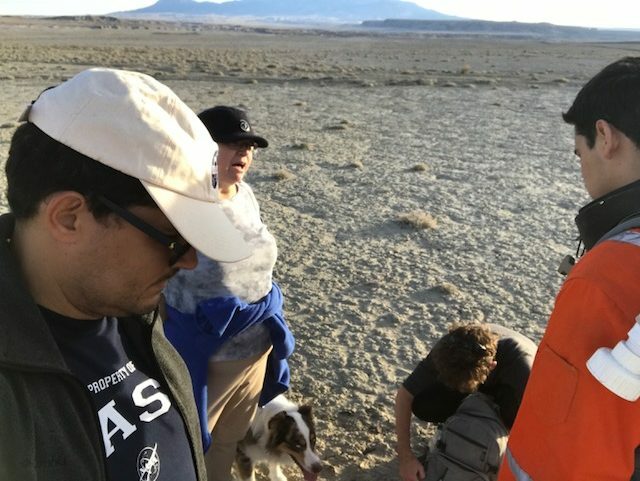 We 4 (Julio, Brandon, Shannon and Atila) returned in safety to the MDRS. The car was let to be recovered at November 15th. Today I haven’t been on the GH the whole day, as you should know by now, we had an incident during our EVA. However, on the morning I checked the crops and they are growing pretty solid. Generator— It worked the whole night since 5:30pm of 13Nov2017 until 12:20 pm of 14Nov2017. Turn on at 17:05 pm 14Nov2017. Operand. Gasoline (5 Gallon containers for ATV) – 0 gallons. In the morning we go to receive the new deimos. After that, as you know we started the EVA session. Three hours after, our classmates did not appear. The fact is that the ATV did not work before they return to the Hab. In that way, Atila stayed in the middle of desert with the ATV, waiting for us. Any deimos were charged. So, we had to take the car, buy gasoline, and we went as fast as we could for Atila. In that emergency, because everyone was worry for Atila, we broke the simulation. I think that this experience join us as a group. Atila is having little headache. We are taking care of him. 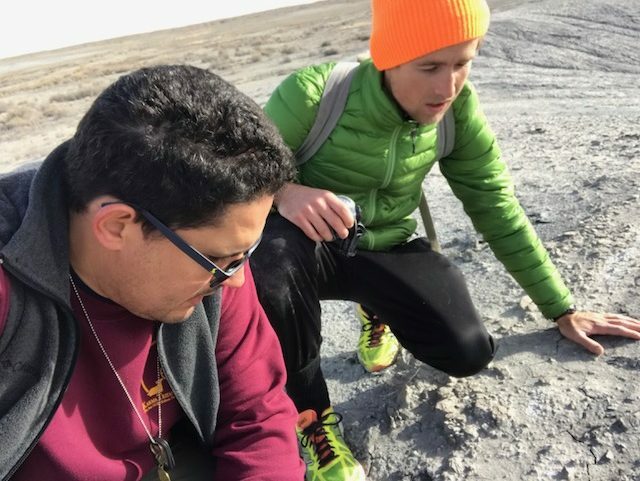 6h23m – I and Brandon start a exploration around the MDRS area. I found good rock samples. We also visited a plateau in west direction from MDRS. During the morning We just walked 10 km. 11h45m – I just clean the dished, organized the dinner table and take out the garbage. 13h45m – I fixed the window of the airlock chamber, the border of the door and the membrane door of the airlock room. 13h13m – I’m preparing my report. 15h – I burned garbage and clean up the lower deck. 15h30m – We walked 1 hour or 2 miles going to help Atila in the ATV without gasoline. We arrived back at 17h30m. 18h – I ate peas with cheddar, tomato soup and chips and pancakes. I was hungry. At total I walked around 18 km or 11 miles as yesterday and burn more than 1100 calories.